Washington, DC – Research scientists and clinicians affiliated with Children’s National Health System will present on a number of subjects during the American Society of Neuroradiology 54th Annual Meeting, held from May 23 through May 26, 2016 in Washington, DC. 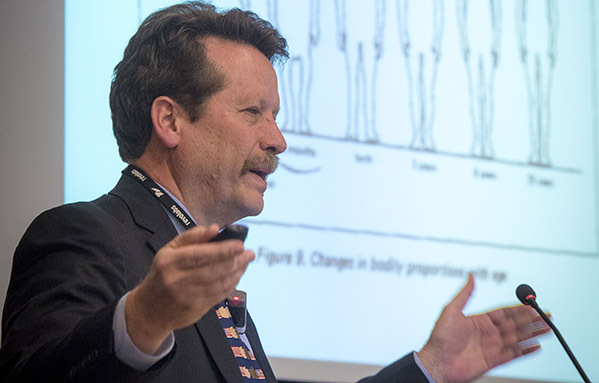 Children’s National experts from a variety of pediatric disciplines will discuss their research and relevant topics over the course of the four-day meeting. Authors: L. Tinkleman; E. Mahdi; M. Bouyssi-Kobar, MS; J. Murnick, MD, PhD; M. Brossard-Racine; C. Loucas; T. Chang, MD; and C. Limperopoulos, PhD. Presentation: May 23 through May 25, 2016, 6:30 a.m. to 9 p.m. Authors: Marine Bouyssi-Kobar, MS; M. Brossard-Racine; J. Murnick, MD, PhD; C. Loucas; T. Chang, MD; and C. Limperopoulos, PhD. Presentation: 2:19 p.m. to 2:27 p.m. Authors: Michael Wien, MD; G. Vezina, MD; J. De Asis-Cruz, MD, PhD; S. Bauer; D. Lanham; and C. Limperopoulos, PhD. Presentation: 2:27 p.m. to 2:35 p.m. Authors: Josepheen De Asis-Cruz, MD, PhD; A. Yarish; M. Donofrio, MD; G. Vezina, MD; A. J. du Plessis, MBChB; and C. Limperopoulos, PhD. Presentation: 10:30 a.m. to 10:33 a.m. Authors: Eman Mahdi, MD; G. Vezina, MD; J. De Asis-Cruz, MD, PhD; M. Donofrio, MD; D. Lanham; S. Bauer; A. J. du Plessis, MBChB; and C. Limperopoulos, PhD. Presentation: 10:39 a.m. to 10:42 a.m. Authors: Sonia Dahdouh, PhD; G. Vezina, MD; and C. Limperopoulos, PhD. Presentation: 10:42 a.m. to 10:45 a.m. Authors: Sayali Yewale, MD; S. Dahdouh, PhD; J. De Asis-Cruz; D. Bulas, MD; S. Bauer; D. Lanham; and Catherine Limperopoulos, PhD. Presentation: 11 a.m. to 11:03 a.m.
Children’s National Health System, based in Washington, DC, has been serving the nation’s children since 1870. Children’s National is a Leapfrog Group Top Hospital, Magnet® designated, and was ranked among the top 10 pediatric hospitals by U.S. News & World Report 2015-16. Home to the Children’s Research Institute and the Sheikh Zayed Institute for Pediatric Surgical Innovation, Children’s National is one of the nation’s top NIH-funded pediatric institutions. With a community-based pediatric network, seven regional outpatient centers, an ambulatory surgery center, two emergency rooms, an acute care hospital, and collaborations throughout the region, Children’s National is recognized for its expertise and innovation in pediatric care and as an advocate for all children. For more information, visit ChildrensNational.org, or follow us on Facebook and Twitter. The American Society of Neuroradiology is an organization of more than 5,200 neuroradiologists and related professionals, founded in 1962, dedicated to maximizing the benefits of neuroradiology to patients and other providers by promoting the highest standards for training and practice, and fostering research in the field. When Dieana was getting her 19-week obstetrical ultrasound, she got some unsettling news about her son, Gino. Zika virus is a mosquito-borne illness that has recently started circulating in South and Central America. Here are some resources to protect yourself. Here are some resources to learn more about Zika virus. Fetal imaging techniques produce detailed images of your baby’s internal organs and structures. We mainly use magnetic resonance imaging (MRI) and ultrasound to obtain detailed images of the fetal chest, abdomen and brain.